I had quite a bit more written about this poem and author before my infant daughter crawled over and pressed the power button on my computer. Maybe it’s for the best – I tend to gush about things I love and this poem (and all art, at least at first look or read or listen) can speak for itself. 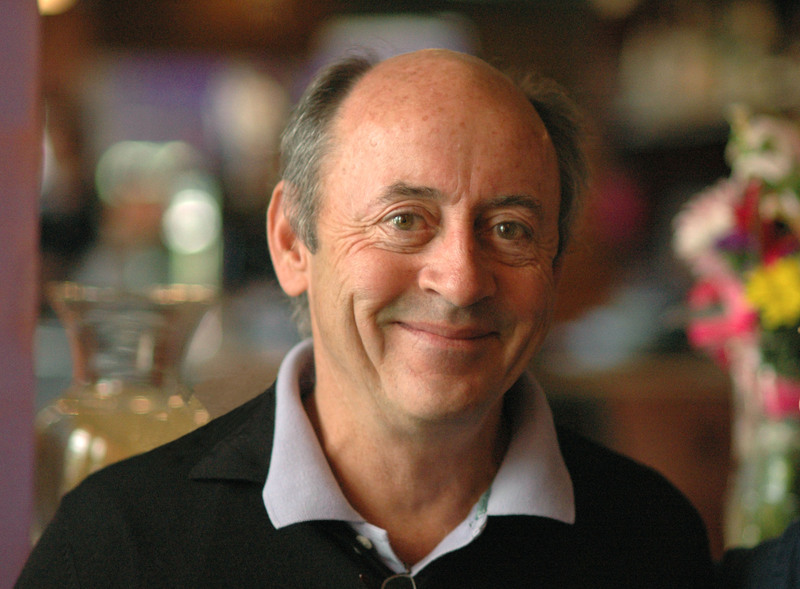 I’ll just say quickly that I love Billy Collins because his poetry, lucid, clear and bright, is no less easy for its lack of obscurity. The last stanza of this particular poem may well be my favorite stanza in all of poetry. I get it stuck in my head like song lyrics. all of us ordering the cottage cheese with half a pear. alert at tier dark contraptions catching every word. and listening, finger resting lightly on the keys. slipped into the heavy, amnesiac waters of the Thames. make him a tape when he goes back to his brushes and pails. of the afternoon and the melancholy candles of evening. with its small vase of faded flowers and its empty bench. when men holding pistols stand in a field back to back. her four-horse chariot aimed at the zenith of the sky. Yesterday was rough, today was lovely. And I mean in every way. Yesterday was lonely, tedious and gray. Today was full of friends, easy and sun-shiney. I have a tendency, when I’m in the gray days, to believe they will last forever. I think my kids will always be ornery, I will always have mounds of housework to do, and winter will never end. Then one little thing snaps me out of my mood – a kind word from my husband, a warm breeze, or a quiet half-hour – and you’d think I was the cheeriest, most positive person in the world. I often wish I wasn’t such a roller-coaster of feelings and emotions. (I know my husband often wishes this too.) A friend of mine recently told me that she heard about a study in which women were given higher doses of testosterone and men were given higher doses of estrogen. The women felt calm and in control, while the men were all over the map emotionally and couldn’t wait to get off the stuff. So maybe this up and down stuff is all part of being a woman, or maybe I’m just an emotional person. The key, I think, is somehow reminding myself during the lows that they don’t last forever, and gleaning every last drop of goodness out of the highs. T.S. Eliot is my first love. I read an excerpt of The Hollow Men at the beginning of a historical fiction novel when I was in middle school, and remember clearly loving not the meaning of the words, but the way there were put together and how they sounded. Ironic, because now I find great meaning in Eliot’s poems, but still love first and foremost the words themselves. It’s a visceral experience, like letting a wave wash over your feet at the edge of the shore. I let his words wash over my consciousness, enjoying first the beauty and letting the meaning seep in afterwards. This poem is long – I read it in pieces and come back to it. But it’s one of my favorites and appropriate to the season, so I hope you enjoy it as well. Seamus: Is this Bob Dylan on the radio? Seamus: Are you Mrs. Dylan? Ash Wednesday, or why I love Lent. *Note: I wrote this piece several years ago and posted it on my old blog, but as I doubt many people saw it there, and as all the sentiments still apply, I am reposting today. Today is the first day of Lent. When I go to church this evening, the sanctuary will be draped in purple. The altar will be bare of the usual floral explosions. It will be quiet and dim. Today my face will be marked with ashes to remind me that I once did not exist as flesh, and that one day again, like so much dust, my body will disintegrate. Having a child made me acutely aware of mortality – witnessing the beginning of a life only drove home that there is an end. 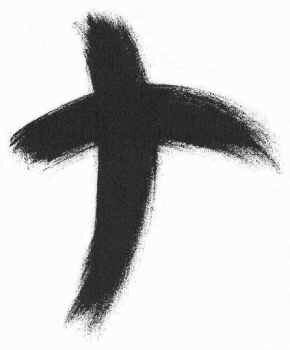 Ash Wednesday reminds me of the same thing: Rember, O man, that you are dust, and unto dust you shall return. I know that many people – religious and non-religious alike – don’t understand the season of Lent. To outside eyes, it seems Christians subject ourselves to guilt, berate ourselves with our failings, and give up our pleasures. All for what? To appease an angry God who demands perfection? To strip ourselves of the trappings of earth in order that we might prepare for the white clouds and bright light of a poorly imagined heaven? No. To acknowledge the holy dirt that forms our bodies, and to seek the sacred light that illuminates our souls. Every Lent I return to the knowledge that the dust that forms me has been shaped by the breath of God. I love this tension between the earthy and the ethereal. All that comes with being mortal – beauty, love and intelligence as well as hard work, suffering and plain old dirt – is holy. And just to prove to us how beautiful and holy the heaven that our earthly life leads to is, God became dirt himself. Jesus entered into and sanctified humanity in order that we would see how this world reflects His world, and how His world is the fulfillment of this world perfected. “Thy kingdom come, thy will be done, on earth as it is in heaven.” Amen. Let it be done according to His will. I’ve been a little glum lately – nothing serious, just suffering under the weight of ordinary, daily cares. I’ve fallen into the trap of believing I’ll never be much more than a laundress, cook and child-rearer (as if those weren’t the most important of occupations.) Whenever I feel, at nearly 30, that my chance to accomplish anything great has passed me by, I read this astonishing poet, who didn’t publish her first book until she was in her eighties, and saw it nominated for a National Book Award. She is one of my favorites. The beauty and simplicity of her writing stop me in my tracks time after time. After about four weeks of consistent writing, I didn’t blog at all last week. Please forgive me, all of you who read this. I have good excuses – my husband was home sick and I’ve been trying to impose a new housework system on myself, with varying success. Anyway, what with all the chores and caring for the sick (not to mention the children) blogging was the thing that had to go, temporarily. But I’m not happy about it. I’ve never, ever been a naturally organized or ordered person. Sure, I enjoy being in a clean house more than a cluttered one as much as the next person, but in my single days, that desire didn’t usually translate into actual work. At least not on a regular basis. Since getting married and having kids, a desperate desire for order has gradually grown in me. Part of that is due to having a number of people rely on me, part of it is due to the fact that if I’m not at least somewhat organized, nothing will get done, including the things I actually want to do. Part of it is due to just growing up and realizing that if I don’t do it, neither will anyone else. So, last week I wrote out a schedule of daily and weekly chores and committed to sticking to it, at least for the week. The result was that the house was cleaner than it’s ever been, but a lot of the things that give me life – down time, reading, and especially writing – were sacrificed. What I realized, I suppose, is that if I don’t bring order to all the areas of my life important things will go missing. Writing, I realize, is just as crucial as swiffering the kitchen floor every week, and I’ve got to schedule blogging just like I’ve got to schedule laundry. I’ve also got to take it easy on myself. I was so committed last week to my daily duties that the thought of not completing them made me feel like a complete failure. That kind of conscientiousness is just as unhealthy as laziness. So I may not finish every chore on every day of my schedule. And I may miss a blog entry here and there. I’m sure living with discipline is something I’ll struggle with and (hopefully) get better at for the rest of my life. But if I put at least some sort of framework up, I know I’ll get far more done (chores and pleasures) than if I just wing it.